Adam Di Loreto, has an extensive international, professional dance career that began in Tokyo, Japan working for Tokyo Disney Resort's. While there, he has performed in three different shows where he also has been working as a Dance Captain. Adam was also featured as a dancer in a number of television commercials and print advertisements for Tokyo Disney Resort. His Disney dance career expanded to Disneyland Resort in California in two of their largest main stage shows: Snow White: An Enchanting Musical and Aladdin: A Musical Spectacular. In addition to his Disney experience, Adam is proud to have had the opportunity to perform in multiple tours with the world-famous Radio City Christmas Spectacular featured as a soloist. Some of Adam's favorite musical credits include A-Rab in West Side Story & The Rocky Horror Show. Heather Graham has traveled the world performing on Celebrity Cruises for Two as Dance Captain of the entire cast. She moved to Los Angeles to continue pursing her love for entertaining and was signed with DDO Artist Agency. Heather is currently in a two and a half year contract with the divine Miss Bette Midler in her new Las Vegas show, "The Showgirl Must Go On" at the Coliseum in Caesars Palace Hotel. She is truly honoured to perform with Bette and the 17 other beautiful dancers in such an amazing production. Lisa LaTouche was the very first “Rhythm Rookie” in Calgary 15 years ago. 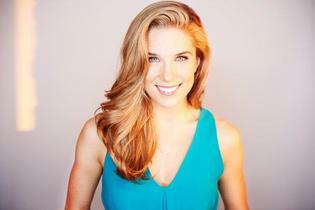 Proudly Canadian, now residing in New York City, Lisa's talents have led her work on platforms ranging from the Beijing International Dance Festival as dancer/choreographer and American media spokesperson, to performing on CBS with singing sensation Mya and Emmy Award winning choreographer Jason Samuels Smith. Lisa was recently featured in the May 2oo8 issue of Dancer Magazine as an emerging artist. While residing in Chicago for over two years Lisa worked as Artistic Associate with Lane Alexander and the Chicago Human Rhythm Project and their performing ensemble BAM! She was also Assistant Director and Choreographer for multiple years with Bril Barrett and Tre Dumas' M.A.D.D. Rhythms and founded their International extension, M.A.D.D. Rhythms Canada in her home town of Calgary, Alberta. She also has had the honor of working with other highly reputable companies such as Chloe Arnold's Syncopated Ladies, Jason Samuels Smith's A.C.G.I. and Roxanne Butterfly’s Worldbeats. Ingrid (born Abbott) has performed in music videos, cruise ships, film, contemporary dance, opera and musicals. Some highlights include Dallas Black Dance Theatre and Disney's The Lion King (West End). She currently lives with her husband in London, England and she continues to perform and teach. Follow your dreams! Amy Gardner continued her training in Vancouver, Los Angeles, Toronto, Montreal and New York. Combining her technical training, versatility and unique style, Amy has gone on to dance professionally throughout North America and some of her credits include, Justin Bieber, Coca-Cola, So You Think You Can Dance Canada Top 10, X FACTOR, Disney, Canada’s Got Talent, Pinup Saints, K’Naan, Sarah MacLauchlan, Move: The Company, and MADD Rhythms. On camera, Amy has worked as Hayden Panettiere’s body double in the movie Lies My Mother Told Me, on the TV series Baxster and has performed in numerous commercials. She can be seen in 3D in one of the upcoming major dance films, Cobu 3D choreographed by NappyTabs, as well as dancing beside Julia Roberts in film Mirror Mirror. As Amy continues establishing herself as a professional dancer, she also focuses a great deal of her energy on her passion for creation and choreography. She has choreographed for several corporate shows for companies such as Relativity Media, Lise Watier Cosmetics, as well as the Bing Bang Show and the Rock Circus TV pilot. You can also see her perform some of her own choreography in the Montreal based dance film, Sur le Rhythm. Amy is grateful for all the amazing experiences she has had thus far and all the incredible artists she has worked with along the way. Eager and excited to continue growing as a professional dancer and creator, Amy travels the world undeterred in her quest to define herself and refine her art. Mike Tracz has been performing throughout the world for over 15 years. Credits include 5 seasons at the Stratford Festival of Canada (Hello Dolly, The Tempest, Guys & Dolls, Anything Goes, West Side Story, My Fair Lady, The King & I, and The Threepenny Opera), The National Tour of Dirty Rotten Scoundrels, Drayton Entertainment (Guys & Dolls, Sweet Charity, Peter Pan, Brigadoon, Evita, Me & My Girl, Crazy For You, Cats, Miss Saigon, Aladdin, The Mikado, Oklahoma!, Robin Hood), Theatre Aquarius (Peter Pan, The Sound of Music, Oklahoma! ), The Canadian Opera Company (War & Peace), Stage West (70's Fever), Tokyo Disneyland, Dancers for life (Toronto), Royal Caribbean Cruise Lines (Dance Captain), Celebrity Cruise Lines, Carnival Cruise Lines, Paramount Wonderland, and A Grand Night for Stratford (Choreographer). Film & Television credits include Eloise at the Plaza (Disney), Poe (ABC), Hollywood Bollywood, Superstar, Prisoner of Love, Gemini Awards, Rick Mercer Report (CBC), Bravo Fact!, Food Network, Morenaga (Japan). Joey Arrigo After completing his competition years, Joey was a contestant on the fourth season of So You Think You Can Dance Canada. Later that year, he left on a world tour with The Bad Boys of Dance, performing in the show Rock The Ballet. With The Bad Boys of Dance, Joey toured France, Greece, Spain, Australia, New Zealand, Turks & Caicos, Kazaktstan, Israel and the United States. After The Bad Boys of Dance, Joey performed with the Shaping Sound Dance Company with Travis Wall and Nick Lazzarini. Shaping Sound did a month long tour in the United States and Canada. 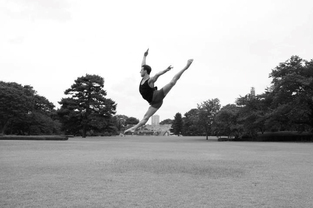 Joey has worked as a choreographer, workshop teacher and dance competition judge. 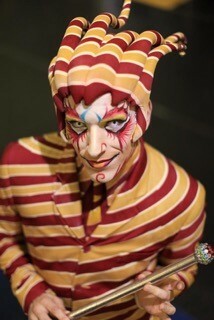 Currently, Joey is touring Europe with the Cirque du Soleil Show Kooza, performing the role of The Trickster. Melissa Mitro began her dancing career at the age of 3 and competed in all genres of dance including ballet, lyrical, contemporary, highland, hip-hop, tap, salsa, etc. with great success. A winner of many overall awards in major competitions across Canada and the United States, Melissa has performed numerous times at the CNE’s Rising Star, on Breakfast Television, Much Music, for Flare Magazine and at the Toronto International Film Festival. The winner of the prestigious Celebration of the Arts Publishers Award (2008) and a top 3 finisher at the Jump Finals in LA (2008), she has been featured in many music videos and performed with artists Guinevere, Aleesia, Anjulie, Tegan and Sarah, Azari & III, Victoria Duffield, Tyler Medeiros and Mia Martina. Melissa has worked with such notables as Emmy award winning choreographer Mia Michaels, Emmy nominated choreographers Stacey Tookey and Mandy Moore as well as Juno award nominated singer/songwriter Dominic Mancuso. A runner-up on CTV‘s So You Think You Can Dance Canada Season 4, Melissa recently performed at the closing ceremonies at the Pan Am games in Mexico (Oct 2011), City TV’s New Years Eve Bash (2012), the Nick Carter Tour in the US (2012) and the Juno Awards (2012). More recently her SYTYCDC Salsa number received the 2012 International World Dance Award for choreography in a television live/performance and is currently performing on the CBC production of Over the Rainbow. When not performing, Melissa travels the country judging competitions and doing workshops motivating and inspiring young dancers in the art of dance. Amanda Balen: Originally from Ontario, Amanda has been working in Los Angeles as a professional dancer for the past 10 years. She has toured the world extensively with Lady Gaga (Born This Way Ball and Monster Ball) and Celine Dion on her Taking Chances World Tour. She has worked with many artists including Janet Jackson, Britney Spears, Carrie Underwood and Beyonce. Selected television credits include an Emmy winning performance on The Disney Channel, Glee, Dancing with the Stars, American Idol, X-Factor, So You Think You Can Dance, Grammy Awards, Emmy Awards, MTV Awards, Ellen and The Oprah Winfrey Show. Amanda has written for Dance Spirit magazine, and in 2012 was featured on the cover of Dance Magazine. Jessica Horn: Since her competitive years at Rhythm Jessica has graduated from the prestigious Randolph Academy and has performed across North America, Scandinavia and China. Her credits include; dance companies, cruise ships, movies, commercials and over two-dozen musicals, including the Broadway National Tour of Dirty Rotten Scoundrels and 42nd Street at The Stratford Shakespeare Festival. Since her years as a competitive dancer, Jessica’s love for the stage has only grown and she continues to work today as a professional actor/dancer/singer. Amanda Cleghorn: Amanda most notably finished as the top female on So You Think You Can Dance Canada Season 3. She is currently a dancer on the "RED" tour with the world-renowned pop/country artist Taylor Swift. She also toured with Jump Dance Convention as an assistant for choreographers including Mia Michaels and Mandy Moore. Amanda danced with Ellen Degeneres in the 2014 Oscars promo-commercial, danced on hit TV shows such as Dancing With The Stars and The X Factor, and recently finished filming the ABC Spark digital pilot "Rise" in which she plays the lead female role. Ashley Leggat is a Hamilton born actress, dancer and singer. She is a twice nominated Gemini actress, who starred as 'Casey' not only in Disney & Family Channel's hit comedy series ‘Life with Derek’ but also in the movie ‘Vacation with Derek’. She appeared as ‘Marcia’ in the Disney feature film ‘Confessions of a Teenage Drama Queen’ with Lindsay Lohan. More recently Ashley starred as 'Baby' in the critically acclaimed production of ‘Dirty Dancing’ at the Royal Alex Theatre in Toronto. Ashley had the starring role in the Lifetime movie ‘The Perfect Roommate’, followed by the feature film ‘My Dog's Christmas Miracle/Cinnamon’. This was followed by the guest starring role of 'Ivy' on ‘Murdoch Mysteries’, and a co-starring role on ‘Criminal Minds’. More recently Ashley has filmed the starring role in Lifetime's ‘The Perfect Boss’. She has just wrapped filming on ‘The Good Witch's Charm’, which followed ‘The Good Witch's Destiny’, for Hallmark, and has just finished production on a new pilot with Shaftesbury Films called ‘Rise’. By the age of 25, accomplished dancer Blake McGrath has already shared the stage with Madonna, Janet Jackson, Britney Spears, Jennifer Lopez, Mariah Carey, and Beyonce. He has even been fortunate enough to perform alongside the King of Pop Michael Jackson for his 30th anniversary special on CBS. Blake is widely regarded as one of the best dancers of his generation; these skills became apparent on the premiere season of the famed US dance competition-reality series, So You Think You Can Dance. After making it to the finals of the show, Blake quickly became the “it” dancer in Los Angeles. Immediately following SYTYCD Blake was cast in Jennifer Lopez’s MTV Dance life, a reality series that chronicled Chorographers in LA. Immediately after that he returned to Canada to Judge and choreograph 4 seasons of SYTYCD Canada! After reaching the peak of the dance world, Blake McGrath felt it was time to pursue his inner passion… music. McGrath produced a soulful, vocally gifted debut recording. Licensing his debut album “Time To Move” to music industry power house Universal Music. The critically acclaimed album included his radio hit song “Relax”. The album was released in November of 2010. Blake’s creative collaboration with Emmy Award Winning Choreographer Mia Michaels (Madonna, Celine Dion, Prince) produced a provocatively haunting video for “Relax”, which garnered an MMVA in June 2011. His sophomore album "Love Revolution" was released in November 2013. Blake's has recently been seen guest choreographing and performing on Hit shows including ABC's "Dancing With The Stars" and Life Times "Dance Moms". Bree was born and raised in Calgary, AB and started dancing at the tender age of 5. After moving to Toronto to pursue a professional dance career, Bree made the top 20 of “So You Think You Can Dance Canada” Season 3. She then went on to perform in hit television shows such as “Nikita”, “Bomb Girls”, “Baxter”, “Over The Rainbow”, “Canada’s Got Talent”, and as Ashley Tisdale’s body double in “Hellcats”. Her movie credits include “Make Your Move”, ABC’s “Desperately Seeking Santa”, and CTV’s “Turn The Beat Around”. Bree has also worked behind the scenes as a choreographer on TV shows “Stay With Me” and “American Royalty”, as well as for the Pepperidge Farms “Feel the Crunch” Commercial. She has choreographed music videos for Shad’s “Remember 2 Remember” and Drake’s musical director Adrian Eccleston’s “Timebomb”, and even for Carly Rae Jepsen’s performance at the 2012 MMVA’s! On top of dance and choreography, Bree has begun to explore the world of acting. Her breakout role is that of “Kate” in the hit Family Channel TV show “The Next Step”. She has also played the role of “Roxy” in MuchMusic’s film “Alive”, and “Frankie” in the short film “56 Pink Flamingos”. Bree is proud to say she grew up competing at Rhythm Dance, and wishes Nancy & Donna all the best in their 25th year!! Cassandra Caccioppoli began her training at Bojangles Art of Dance in Kitchener under the direction of Margo Hartley. During her years of competitive dance she has received numerous titles including The Pulse on Tour's prestigious award known as the "Elite Protege". Since being awarded Elite Protege, Cassandra has been blessed to assist many world renowned choreographers including Brian Friedman, Tyce Diorio, Laurie Ann Gibson and Dave Scott. She also is currently Gil Duldulao's (Janet Jackson's Creative Director and Choreographer) assistant. Recently Cassandra filmed the movie "Strings" starring Josh Duhamel and Lucas Till which is set to hit theatres May 2014. Clyde Alves: After competing at Rhythm Dance, Clyde's career in the theatre started in Toronto with Beauty And The Beast followed by A North American tour of Fame The Musical. After a season at The Stratford Festival he moved to New York to start work on his first Broadway role and received a Fred Astaire Award for his portrayal of Tommy Djilas in The Music Man. He reprised this role on television in Disney's Movie of the week along side Matthew Broderick and Kristin Chenoweth. Since then he's performed on Broadway in shows such as Oklahoma!, Hairspray, Wicked, Anything Goes and most recently with his wife (Robyn Hurder) in Nice Work If You Can Get It. He is currently in rehearsals for Bullets Over Broadway, a new show written by Woody Allen, opening for a Broadway audience April 10th this year. Clyde currently resides in Manhattan with his wife and new baby boy Hudson. Devon Perri: Devon, from Toronto, has had the opportunity to choreograph such projects as The Toronto Film Festival as well the tap scenes in the movies; Honey, Universal Pictures and Save The Last Dance 2 MTV. His music video credits include; Chris Brown-Turn Up The Music, NeYo-Beautiful Monster, David Guetta+Chris Brown-I Can Only Imagine, Timbaland-Cop That Disc, Snoop+Wiz-Young,Wild n’ Free, BoA-Energetic, K-OS-Superstar + Crab Bucket, Yasmeen-Blue Jeans and many more. Devon has also performed on TV and stage with artists such as; the VMA’s w/ Justin Timberlake, the V.M.A.’s, Billboard Awards, BET Awards, DWTS and Carpe Diem Tour w/ Chris Brown, So You Think You Can Dance w/ Ne-Yo, American Idol w/ Travis Garland and Stefano Langone, DWTS w/ Macy’s All-Stars, DWTS w/ Jason Derulo, Korean Pop Star BoA and many more. He has also appeared in commercials for Marshall’s, Cali-Max, and Milk-Canada. He now resides in Los Angeles, and is teaching at Movement Lifestyle, Millennium Dance Complex and Debbie Reynolds Dance Studio where he is always seeking to improve his craft. Eric Robertson: After growing up in the dance competition circuit, Eric moved into musical theatre, performing with companies like Theatre Aquarius, Drayton Entertainment and the Stratford Festival. He then ventured to the USA, where he ended up in the Broadway and First National touring productions of Billy Joel and Twyla Tharp's "Movin' Out." Settling in NYC, he completing the 2-year program at the Barrow Group Acting School, and started to pursue film and TV. Since then he's been on the Oprah Network, National Geographic Channel and the Lifetime Movie Network, among others. In May 2013 he made his Off-Broadway debut with the show he wrote and directed, a comedy called "Gym Shorts: The Show." NYC's NightLife Exchange called it "uncannily brilliant. Mr. Robertson has a truly remarkable skill at the art of the double entendre [and is] clearly possessed of a first-rate poetic intelligence." He still has many fond memories of Rhythm Dance Festival, and wants to congratulate them on 25 fantastic years! Everett Smith: From performing in the North American National Tour of Tap Dogs: Rebooted as “The Kid”, to playing the role of “Paulie”, member of the Corny Council, in Hairspray: The Movie, Everett Smith has proven himself a versatile entertainer. Being the only tap dancer to ever make the finals on the hit CTV series “So You Think You Can Dance Canada”, and being part of the principle “Hero Tappers” cast for the Vancouver 2010 Olympic Opening Ceremonies, Everett embraces any challenge put in front of him. Most recently, Everett opened a studio strictly dedicated to tap dancing! Bringing Tap Back is home to his Junior, Senior, and Professional Performing companies. As well, teamed with Só Dança, Everett has continued to demonstrate his Canadian Pride with his new shoes; the Só Dança TA-706, 716, 806 & 816, and custom pro models — all boldly equipped with a Canadian Maple Leaf! Everett has also been part of many award winning productions, most notably playing the role of “Tip” in “I Think I Can” at Lorraine Kimsa Theatre for Young People: a story about bullying, science, and overcoming obstacles told all through the art of tap dancing. “I Think I Can” was nominated for 5 Dora Awards and won “Outstanding new musical” in 2007. Other credits include stage performances of Grease and Footloose, as well as film work on Disney’s “Ice Princess”, “From Time to Time”, “Life with Derek”, “Slings & Arrows”, and “American Girl Doll: Felicity”. Everett has danced for Katy Perry, Tom Cochrane, Cory Lee, Bobby Blake & Andrea Lewis. His work for Keshia Chante has included performances; opening for Ludacris, “The 30 Hour Famine”, “the Harry Jerome awards”, and the “2005 Juno awards”. As well, Everett danced alongside country superstar Terri Clark, in “Tapville” raising funds for cancer research. Everett has always loved to teach and adjudicate and has always shown a strong passion to inspire. His classes across Canada have been a hit and have always come with a positive and motivating experience. His passion to perform, to inspire, and to entertain, has always been the driving force behind every step he takes. Genny Sermonia As the youngest of 4 siblings with two older brothers who are also performers and parents who loved to cut a rug, Genny grew up surrounded by dance. She began her training with the Canadian Dance Company and Performing Dance Arts, and has trained all across Canada and the US. Genny attended Sheridan College’s prestigious Music Theatre - Performance Program where she fine tuned her dance abilities and gained strengths in acting and singing. She was honoured with the E. McFaddin Award for her commitment to dance as a passion and an industry and completed the program with Honours. Upon graduating, Genny has been fortunate enough to grace the stages of many legendary theatres across North America, including the Stratford Shakespeare Festival. Selected shows include the National Tour of Mary Poppins, Elf, West Side Story, The Wedding Singer, Miss Saigon, Cyrano De Bergerac, just to name a few. Genny is also no stranger to the film & TV screen, making a recurring appearance on Degrassi: Next Generation, as well as being part of CW’s Hellcats, The L.A. Complex, Warehouse 13, Really Me, Forensic Factor, Mirror, Mirror starring Julia Roberts, as well as many short films, and commercials. Although you may find her mainly in the spotlight or in front of the camera you may find Genny as a guest teacher, dance adjudicator, writer, and choreographer. Check her out as “Liat” this Summer in Drayton Entertainment’s production of South Pacific. Jason Sermonia Rhythm Dance marks Jason’s very first dance competition competing in a jazz group routine called “Do You Love Me”. He was also fortunate to be a part of Junior Team Canada in Rhythm Dance Festival’s “Dance Wars” against USA. Jason was raised in Mississauga, Ontario where he put on his first pair of dance shoes at the age of 6. Jason trained extensively under Allain and Dawn Lupien of the Canadian Dance Company and Danny and Lisa Poland of the Performing Dance Arts. At the age of 18, Jason started his professional career in the Toronto production of Disney’s The Lion King that led him to many other shows such as Guys & Dolls; Anything Goes (Stratford Festival), Dirty Dancing; We Will Rock You (Mirvish Productions), Mary Poppins (Drayton Entertainment – Canadian Premier), Yoshimi Battles The Pink Robots (La Jolla Playhouse – World Premier), We Will Rock You (First National Tour), Jesus Christ Superstar (Broadway). Jason also appeared in the movies “Honey” (Universal – Director Billy Woodruff) and the Oscar award-winning “Chicago”(Miramax – Director Rob Marshall). He also performed on Dancing With The Stars, 37th Annual Daytime Emmy Awards and the 66th Annual Tony Awards. This year you can catch Jason perform along side many other Rhythm Dance Alumni at the Stratford Festival in the musicals “Crazy For You” and “Man of La Mancha”. Happy 25th Anniversary to Nancy and Rhythm Dance Festival! Here’s to 25 more! Congratulations!! !